Bromont Horse Trials Inc., organizers of the 2019 MARS Incorporated Bromont CCI Three Day Event, are pleased to announce the inaugural “Bromont Rising” Program, which will provide $3,000 to each of up to ten United States and Canadian riders under the age of 25 (U25) to compete at the Bromont CCI, happening June 5th to 9th in Bromont, Quebec. In addition to the financial grant, the program will consist of two days of mounted and unmounted instructional components prior to the start of the event, a Tuesday evening dinner with Jessica Phoenix and Boyd Martin as featured speaker, plus coaching (as requested) during the event. These components will be taught by leading coaches, course designers, riders, owners and support staff. “This has long been a dream of mine, and I am delighted to have it come to fruition with the help of the 2019 Organizing Committee and our title sponsor MARS Incorporated,” said committee member Sue Ockendon. “It is so important that we recognize and provide support to our younger riders who will be the future of the sport,” she continued. “I am hopeful that this program will flourish and extend to other venues,” said Ms. Ockendon. The grant money, which will be awarded in a lump sum to each recipient, is intended to allow young North American riders to pay for transportation, entries, lodging and food during the FEI event in June. Program participants will arrive Monday (June 3) for the training camp that will precede the first horse inspection. Riders will be selected and notified by May 6, 2019. The selection committee for the 2019 Bromont Rising Program includes Kerry Millikin, Peter Gray and Steve Blauner. Questions about this program should be directed to Peter Gray at psgray007@hotmail.com. 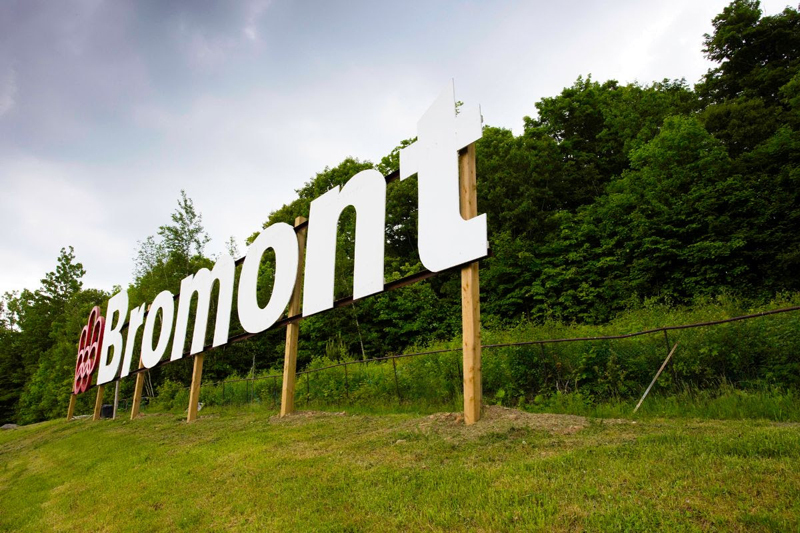 The application form for the Bromont Rising Program are available on the Bromont website here. Selection criteria, according to Ms. Ockendon, will focus primarily on talent and determination: “We are trying to give a leg up to the riders who have committed to making this sport their livelihood, and who need help in achieving that goal,” she said. Participants in the Program can compete in any division that is offered at Bromont. Mark your calendar for the 2019 MARS Incorporated Bromont CCI Three Day Event, The Todd Sandler Challenge happening June 5-9 at the Bromont Olympic Equestrian Park in the picturesque rolling hills of Bromont, Quebec, easy driving distance of Montreal, Quebec and Burlington, Vermont. This scenic area offers great dining, shopping, entertainment, and golf options. Renowned for its world-class cross-country course, Bromont is a must for any serious eventer. Bromont CCI, which has featured top competition for three decades, will be welcoming some of the best horse-and-rider combinations from all over North America in CCI4*-L, CCI3*-L, CCI2*-L, CCI3*-S, CCI2*-L-U25, CCI3*-L-U25 divisions. Bromont stands alone as the only venue in Canada which offers a CCI4*-L level competition. For those riders who have yet to experience competition at Bromont, you’re in for a treat. Derek Di Grazia of Carmel Valley, California, FEI cross-country course designer at Bromont since 2009, will set a challenging track with the help of Canadian course builder Jay Hambly and his team, utilizing the spectacular hills and natural water features Bromont has to offer. Sue Ockendon, the event organizer, spares no expense to bring in the best officiating from around the world to provide each and every rider a true evaluation of their abilities. This is the second stop on the USEF/USET Foundation North American Futures Team Challenge. The Team Challenge was announced during the 2018 USEA Annual Meeting & Convention last December as part of U.S. eventing’s strategic plan, spearheaded by Erik Duvander, U.S. Eventing Director of High Performance. The new program looks to create a “culture of competitiveness” and provide a more clearly defined pathway for eventing athletes in the United States. For more information about this highly-anticipated annual event, visit BromontCCI.com or contact us at secretary@BromontCCI.com.